Have you ever accidentally spoilt something special? Perhaps you’ve broken a toy, torn a page in a favourite book or accidentally scratched a DVD. Can you remember the sad feeling when you realised what you had done? 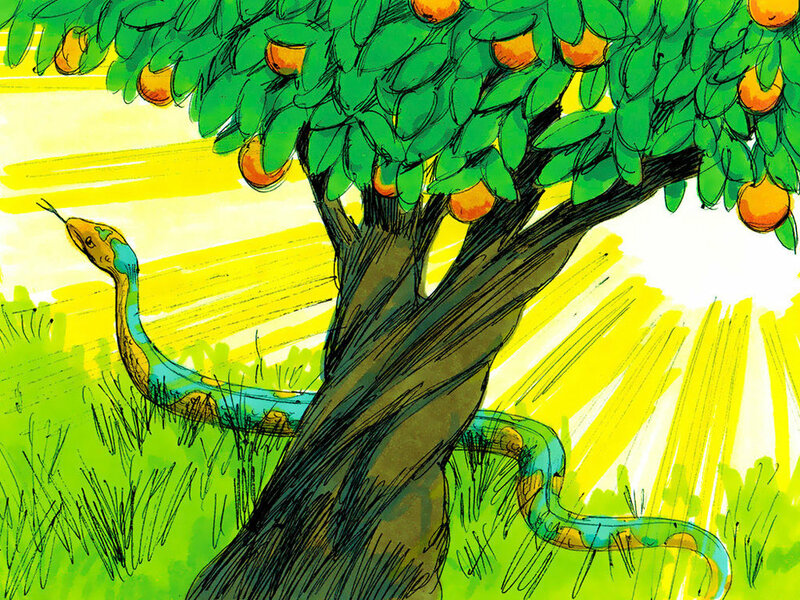 When Adam and Eve ate the fruit in the garden their friendship with God was spoilt. The wrong thing they had done separated them from God and they could no longer be friends in the way they had once been. Adam and Eve were sad. God was sad. But God had a plan. Disobedience had spoilt his creation but he would put things right. His plan was to send his Son Jesus so that people could be close friends with him once more. You will need: Snake templates (see Printables) and enough dice for one between three or four children. 1. Before the session print sufficient templates for one between three or four children. Cut out the templates and divide the snakes into eight shapes. Place the shapes in the envelopes - one set in each envelope. 2. Divide the children into groups of no more than three or four. 3. Give each group a set of snake shapes. 4. Ask the children to keep the head and tail of their snake and place the remaining shapes on the floor in the middle of the room. It doesn’t matter if the shapes get mixed up at this stage. 5. Encourage the children to sit around the room in their groups. Each group needs to be equidistant from the shapes in the middle. Give each group a dice. 6. Explain that the children should take turns throwing their dice then collecting a corresponding shape from the middle of the room. 7. The group needs to place their collected shapes in the correct order between the head and tail of their snake. Each snake should include one of each shape. If a child throws a number that has already been collected the dice should be passed to the next child. 8. The first team to complete their snake is the winning team. Father God, thank you that you did not give up on mankind when Adam and Eve ate the fruit in the garden. Thank you that all those years ago you had a plan to one day make a way for everybody everywhere to become close friends with you once more.